Zambia Institute of Advanced Legal Extinction: ZIALE, Lawyers & Access to Justice | Elias Munshya, LL.M, MBA, M.DIV. Zambia Institute of Advanced Legal Education results are out. And they are pathetic. Out of over 200 candidates only 6 managed to pass the legal practice exams. Another six of repeaters have passed. Now this number translates to a meager 3% pass rate. The next number is even more worrying, upsetting actually. Ninety-seven per cent of all candidates have failed. Nothing should define a crisis in the legal system than this pathetic failure ratio. Indeed, with a pass rate this low and a failure rate so high, the Zambia Institute of Advanced Legal Education should rightly be called the Institute of Advanced Legal Failures or something to that effect. The collateral effect of this deplorable pass rate at ZIALE is that instead of leading to legal excellence, this institution will lead Zambia into legal extinction, into doldrums. The numbers just don’t add up. 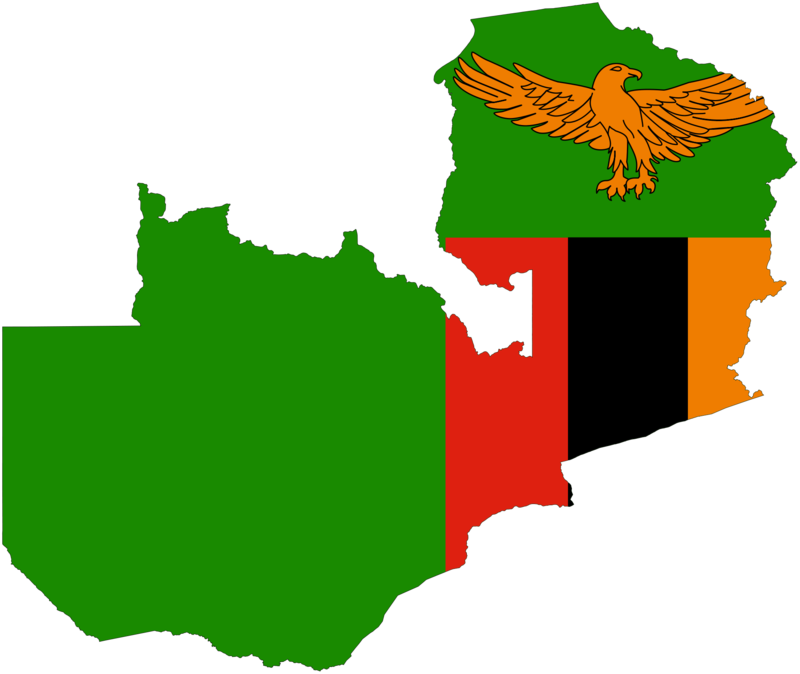 Currently, Zambia has about 800 lawyers. Applying this number to our general population means that there is only one lawyer for every 20,000 of us. If all lawyers were to be spread across the country and evenly distributed in the depth and breadth of Zambia, there will be a distance of about 250-kms between each lawyer. What this means is that there is just not enough lawyers in Zambia to go round. The lawyer to population ratio is just too high. This is unsustainable in the long run. Legal access is a fundamental element of the rule of law. Zambia cannot achieve adequate justice without adequate legal representation for its people. From Mongu to Milenge and from Chipata to Chavuma, remand prisons are full of our people who are incarcerated, without bail, because they do not have access to adequate legal representation. This is pathetic and a betrayal of the fundamental provisions of the rule of law. And instead of helping heal this gap in the lawyer population, one wonders why ZIALE should continue to perpetuate lawyer shortage. With this failure rate, if ZIALE were the regulator of medical doctors, government and indeed the population would have long reacted. Indeed, if ZIALE were the regulator or examiner of nurses, the population would have long noticed and this wholesale failure would not have been tolerated a single day. I still wonder why in spite of this tragedy in the number of lawyers, ZIALE should be permitted or even allowed to be passing a meager six lawyers per examination period. Something must change. In our democracy, the supply for lawyers is not a benevolent offering of a few lawyers. It is an imperative of good democratic governance. In fact, just as we demand for medical doctors to fill our clinics, so should we demand for more lawyers to fill our chambers. Without lawyers, the rule of law becomes a pipe dream only available to the bourgeoisie of Lusaka. There are some eminent persons among us, who argue that ZIALE is doing well in regulating how many people get into law so as to limit the number of lawyers. With due respect, this argument can only be sustained if indeed we were dealing with an oversupply of lawyers. Reality sharply contradicts this line of thought. Zambia does not have an oversupply of lawyers; it has an undersupply of them. It is, therefore, ridiculous to suggest that ZIALE should continue to trickle down a few lawyers each year in a society that already needs hundreds of lawyers each year. It is consequently, nonsense, to argue that we have too many lawyers. I actually cannot see how one lawyer for every 20,000 people can become an oversupply. Another issue that should be dismissed with contempt is the erroneous idea that most of the law graduates who go to ZIALE are in fact of low calibre. Indeed this argument could be sustainable only if it is a few failures we are dealing with. In this case, it is not a few failures we are dealing with but rather almost all of our brightest. It is bizarre to think that almost all of Zambia’s LLB graduates, from both UNZA and other private universities, are in fact of such low calibre that only 6 or 10 of them are worthy to become lawyers. It just does not make sense at all. All the other excuses that ZIALE has been using are just as pitiful. ZIALE and its council should have run out of excuses by now. The ordinary people of Zambia want answers. Someone must put a stop to the baloney that is going on at ZIALE. The excuses such as lack of accommodation for students make no sense too. There should be no relationship between student accommodation and this pathetic failure rate. ZIALE should reform or it should be disbanded. There is a very worrying tendency, even among practicing lawyers, to treat law as a fundamental preserve of a few. Indeed, this tendency or philosophy should have been truer to the old tired regime of the First or Second Republics. In the Third Republic, each citizen of our great nation owns a part of the legal destiny of our country. And no one institution should hold hostage the legal development of our country to please a few somewhat selfish individuals that want to keep a tight rein on the law profession. What then should be done about ZIALE? The ZIALE scandal should not be left in the hands of lawyers alone. Lawyers are by nature risk averse. They are trained to not take risks. Calculation and over-carefulness are the caricature of all legal education. Lawyers alone will not reform ZIALE. Indeed some are unwilling to. Had they wanted to do so, they would have prevailed upon the powers that be to change the law or do something about it. But no, they won’t, even if it means overstretching themselves over a distance of 250-kms purporting to do an impossible feat of serving 20,000 people each day. Zambia’ Attorney General is in a unique position to influence change in the legal fraternity. Doing this however, could come with a political risk for her. We must support and prevail upon the Attorney General and other politicians to prevail upon parliament to bring changes to ZIALE. The Attorney General plays an important role in our democracy. Importantly, she is the leader of the Zambian bar. But more than that she is the principal legal representor of the juristic public interest. As a quasi-politician, the AG should be more aware of the political pressure exerted by the people. It is at this level where those demanding changes at ZIALE can begin. The crisis at ZIALE should be moved from being a pure legal issue to become a wider crisis that threatens the public interest and the growth of our democracy. With political pressure, ZIALE can be reformed. Current law students can also join the thousands of ZIALE failures to do something. To demonstrate along Cairo Road and perhaps make some noise along Great East Road and bring visibility to this issue. Additionally, all law students and graduates in Zambia could one year boycott ZIALE. Send no application there. Send a clear message. It cannot be a fair process that which collects billions of Kwacha in fees only to select the lucky six for law licenses. Action should begin now. I am curious though to find out what professors at ZIALE really teach their students as to account for this low pass rate. Do they teach them in Hebrew only to examine them in Greek? Indeed, it is either these law graduates are so dull or it is to the professors we must direct this criticism. Zambia will be better and greater with a few more lawyers in it. But with the failure rate at ZIALE so high we shall continue to have 20,000 of us chase the skirts or robes of one lawyer. And the problem is that there are just not enough skirts or robes to go round. If i had time i could write a book entitled ‘Organised Crime in Zambia-Tha Case of ZIALE’. Honestly there is no vocabulary in any language on this mother earth to describe behaviour by ZIALE proffessors. It is nonsensical, rotten and sickening behaviour!! We need a government that will bring this crime to an end. SHAME!! time as other people consider issues that they plainly do not recognise about. It written in the Book of Genesis in the Bible that “as the number of men increased so did sin”. The integrity of the legal profession in Zambia at under serious assault and threat owing and I think it is incumbent upon our learned men and women at ZIALE to ensure that fit and proper candidates are admitted to the Zambian Bar. I think you are a little harsh on them Eli. Im admitted to the Zambian Bar and I humbly think it is manageable to the diligent and disciplined. Did you know Zambia has produced some of the best lawyers at Global level? This is a good example of the SADISTIC education system in Zambia. We tend to think that all those who want to get a practicing licence want to practice law in the traditional litigation sense. So there seems to be a deliberate policy to limit the numbers so that the few lawyers have many clients. this is primitive. Lawyers are needed in the ECONOMY, BUSINESS, COMMERCE, and not just in Courts. ZIALE takes a myopic view by thinking that a lawyer=courts/litigation. when you look at countries such as Kenya, South Africa, UK and USA, their economies and international trade is very successful because a lot of entrepreneurs have easy access to lawyers. South Africa has over 21,000 legal practitioners(Source: http://www.lssa.org.za), against a population of 53 million(ratio: 1 lawyer for every 2,500 citizens:). Kenya has over 7,000 lawyers(Source:http://www.lsk.or.ke), in a national population of 41 million(ratio: 1 lawyer for every 5,800 citizens).But as Mr Munshya has observed, Zambia only has 800 lawyers(ratio: 1 lawyer for every 20,000 citizens). As a student of law myself, I have benefited so much knowledge which i am now applying to my businesses, so much so that even if i were to get a practicing licence, i think no client will be able to pay me the money i will be able to make by applying my legal knowledge. As i always believe, educuation is not supposed to give me status, rather it is intended to give me knowledge to generate wealth. So come to think of it, Obama used his legal KNOWLEDGE to make a major political contribution to his country, but he never used his practicing certificate for that. So why all this primitive fuss about refusing to grant licences, by ZIALE? it is not even a question of intelligence. the levels of incompetence by some of the ZIALE graduates is horrifying, so which standard does ZIALE apply?